Will there be a second season of Ransom or not? According to SpoilerTV, season two of the cancelled CBS TV show will begin production soon. The drama follows Eric Beaumont (Luke Roberts), an experienced crisis and hostage negotiator, and his team who are brought in to save lives when no one else can. The cast also includes Brandon Jay McLaren, Nazneen Contractor, and Sarah Greene. In May, it was reported that CBS had cancelled Ransom after one season. However, reports began surfacing that there was still a chance for a second season of the internationally co-produced series. Now, SpoilerTV says production is set to begin on season two next month in Canada. 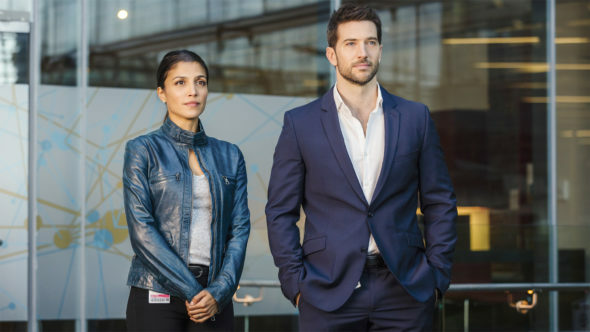 Since Ransom is an international production, there could be a second season set to air in other countries. As of reporting, CBS has not confirmed another season. What do you think? Did you see season one of Ransom? Would you watch another season? More about: CBS TV shows: canceled or renewed?, Ransom, Ransom: canceled or renewed? I loved watching Ransom. Why is the good shows cancelled by reality shows? I loved Ransom and would be disappointed to see CBS cancel the show without seeing the storyline Beaumont and Maxine. My family would like to see Ransom again, but that affair in Eric Beaumont’s past better not be after he married the current Mrs. Beaumont. That will kind of blow up the marriage reconciliation. It would be more refreshing to see them get back together, slowly, and face other challenges in the adventures the show is supposed to be about. Exploring backstories of the other team members would be interesting and exciting, too. My husband and I love Ransome. We can’t wait for it to come back! We are looking forward to season two. Really enjoyed the first season, hope it does come back soon. Please bring season 2 to US. Finally a good show on Saturday night. Getting really bored and tired of all these reality shows. Too many dance,singing,survival,you name it on TV. Not enough good drama. Love the serie Ransom. Really hope it is back for a 2nd season. Please pretty please. Love the serie Ransom, and really hope to see it for a second season. I think ransom should get a season 2. The show is wholesome. The cast are great. Story lines are awesome. It is one of my favorite shows. Love, love it shows on Saturday night.